It’s the blog’s birthday! It’s also the week before the start of the university year here and so it’s a good time to shamelessly advertise my best selling book. The success of How to Think Like a Mathematician has taken me by surprise. It has sold nearly 10,000 copies since it was published. Ok, I’m not going to rival JK Rowling but given that the statistic often quoted in the publishing world is that 95% of books sell less than 5000 copies, I am really happy that the book has found an audience and I get emails from all round the world saying how much they like the book. It has been translated into French, German, Turkish and a Korean version will appear soon. (See links below.) It has been adopted as a textbook throughout the world – I’ve lost count of the places that use it. This shows you how to read and write mathematics. The latter is an easy to learn skill and will set your work apart from most other students. Mathematics is well known to be dependent on logic. Here you learn the basics from a very practical perspective. A key difference between university and pre-university level mathematics is that it is now not just about calculating. Definitions are made precise, mathematical truths (called theorems) are stated and they have to be shown to be unequivocally true by giving a proof. 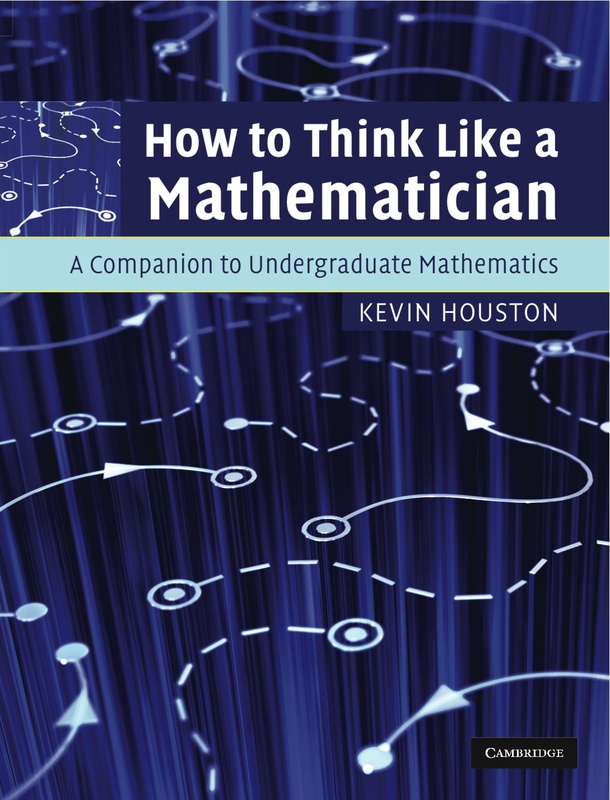 In this part you learn how to pull apart definitions, theorems and proofs so that you understand them. Now that you have to prove things you need some techniques to bring out as the need arises. 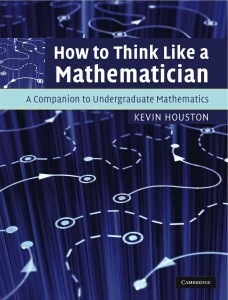 Mathematics that all good mathematicians need. The title is self-explanatory. Many other books introduce university level mathematics but then forget to include the maths you will be studying in your course. We pull together everything learned so that rather than rely on superficial rote learning you develop deep understanding. Take the most complicated side and do something to reduce it to the other side. This works. It stops you tying yourself in knots when randomly rearranging terms from one side to the other in the hope that something will happen. Instead it forces you to think about what you can do with the terms. It’s a simple trick that changes behaviour. I’m Igor, Brazilian Student at Pontifical Catholic University at Rio de Janeiro. I love study for solve problems and organizing my thinking methods. I’m trying to read “Mathematical Experience”, “Mathematical Tapas”, “How to study as a mathematics major”, “Mathematical writing”, but I have time for only one now, because I’m doing Research Experience for Undergrad. I was coming at ICM and I saw your book. It’s amazing! So, I buy it and I’m reading it. But, honestly, I missed references in your book for future reading. Can you Indicate some readings to improve my math learning, training and solve problems? And, about the books above, is there one that you must indicate after your book? It’s good to hear from Brazil! I’ve been to Rio many times and have even visited PUC. It’s also good to hear that you’re enjoying my book. Regarding books from the list you gave, Lara Alcock’s book is a good one to read next. But regarding general books on math training and/or solving problems, I don’t think that there are many to suggest. The best way to learn maths is to do maths. There is no substitute to working on problems and then reflecting on the what you’ve learned from it. 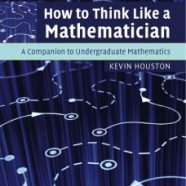 Books on problem solving can give a few useful techniques, eg, draw a diagram, what are the knowns, and so on, but really we need to do problems associated to some mathematical area in maths to be good at maths. Does that make sense? Oh, Great! When you go to Rio, you’re welcome to visit PUC and, you like, we can talk about learning methods and math life. I’m using the following method to read your book: I read between 5 and 6 topics that I have not done in my study yet and put them into practice until I’m automatic. When it becomes automatic, I continue reading. Besides, I try to solve every exercise. I’m finding this very cool. What you think about this method? It’s a good idea?